Rose Siggins, who made her acting debut in last year's American Horror Story: Freak Show, passed away yesterday at the age of 43. TMZ reports that the actress went in for a kidney stone surgery on Monday, when she caught an infection that spread throughout her body and eventually became fatal. A GoFundMe account has been set up to provide financial support for her final resting costs and her two children. Rose Siggins was born with a rare genetic disorder known as Sacral Agenesis. She had severely deformed legs with feet pointing in opposite directions, and she had no feeling in her legs at all. When she was two years old her mother, after consulting with the doctors at the hospital, decided that the best course of action was to have the legs amputated. She has also suffered from kidney and pancreas issues her entire life. She also made history by becoming the first woman ever with Sacral Agenesis to bear children. She made her acting debut as Legless Suzi in American Horror Story: Freak Show, but she had previously appeared on a number of non-fiction TV shows to discuss her condition. She has previously appeared on Ripley's Believe It or Not!, Extraordinary People and the upcoming documentary Schlitzie: One of Us, which chronicles the life of sideshow performer Schlitzie. Here's what the producers of American Horror Story had to say in a statement to The Hollywood Reporter about Rose Siggins' passing. "We are saddened to learn of the passing of Rose Siggins. She was beloved by everyone in the AHS family. She was a kind person, a loving mother and a very talented actor. Our thoughts and prayers are with her family and friends at this time." Sarah Paulson, Angela Bassett, Gabourey Sidibe, Denis O'Hare and Naomi Grossman all sent out their condolences and tributes to their fall co-star over the past few days. Naomi Grossman even shared a line from the show by Jessica Lange's character Elsa Mars, "A carny's life burns and brighter than most. It is bound to extinguish sooner," in tribute to the actress. She is survived by her husband of 16 years, Dave, and her two children. 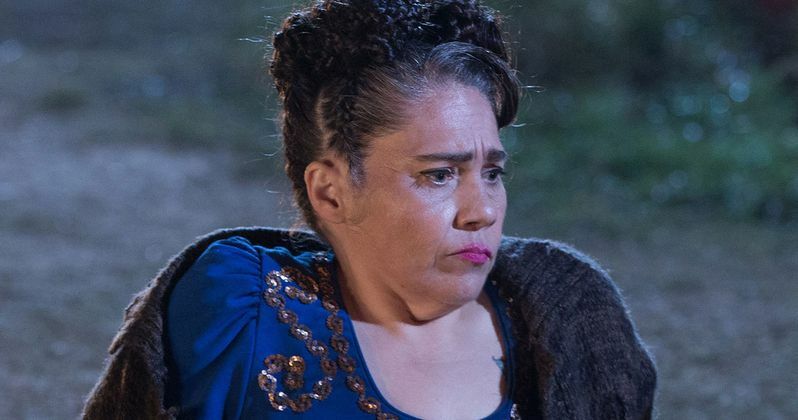 Take a look at the tributes to Rose Siggins from her American Horror Story: Freak Show cast members. You can also visit her family's GoFundMe page, which has raised more than $8,600 so far. Did you have a favorite moment from Legless Suzi's run on American Horror Story: Freak Show? Let us know what you think below. @RoseSiggins Your life touched mine & made it's lasting impression...Of love, grace, courage & beauty. God's angels sing thee to thy rest.